Buffets in Singapore (actually, buffets anywhere) tend to get a bad rep for giving up quality for quantity. But this way of dining exists because it has its upsides - a convivial atmosphere perfect for communal dining, especially for groups with a varied dietary preferences - and there are excellent buffet restaurants in Singapore - you just have to know where to look. P.S this list is non-halal so those with dietary restrictions should see here. Colony is located at The Ritz-Carlton, Millenia Singapore, 7 Raffles Avenue Singapore, 039799 Singapore, p.+ 65 6434 5288, e. rc.sinrz.restaurantreservations@ritzcarlton.com. Opens 6.30am - 10.30am, 12pm - 2.30pm, 3.30pm - 5.30pm (afternoon tea) and 6.30pm - 10.30pm from Mondays to Saturdays. Opens 6am - 10.30am, 12pm - 3.30pm, and 6.30pm - 10.30pm on Sundays. One of the most popular Sunday brunches (from $118++ per adult) in Singapore can be found at Grand Hyatt's mezza9, and for good reason too. Their sustainable seafood is exceedingly fresh and range from luscious Maine lobsters and Scottish brown crabs to Spencer Gulf King Prawns. Don't miss out on the healthy food options (the hotel is known for their tasty vegan dishes) and grilled meats either; they serve up one of the best Dorper lambs we've had. And did we mention the bottomless Perrier Jouët Grand Brut? mezza9 is located at 10 Scotts Rd, Grand Hyatt, Singapore 228211, p.+ 65 6732 1234. Opens 12pm - 3pm and 6pm -10.30pm from Sundays to Thursdays, and 12pm - 3pm and 6pm - 11pm on Fridays and Saturdays. 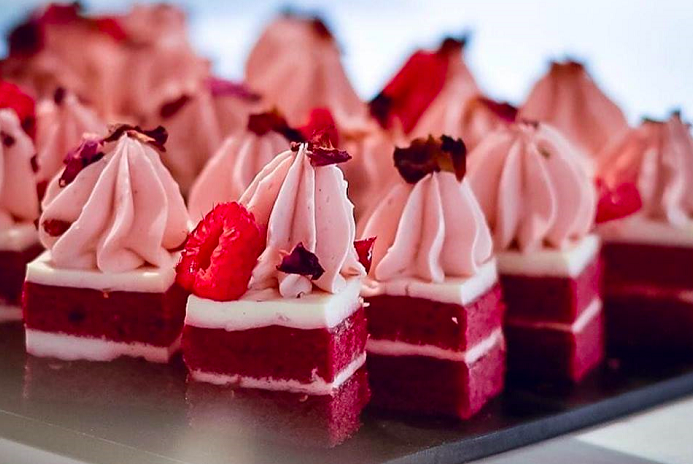 Picture an ocean-fresh oyster bar, 14-hour slow-roasted Wagyu beef leg, a dedicated cheese room with over 30 imported cheeses, and a 6-metre long dessert showcase - that's what Hilton Singapore's Sunday Brunch Buffet has in store for you. Priced at $98++ per person for food, we highly recommend topping up additional $78++ for free-flowing Taittinger Champagne, beer, and wine to wrap up your weekend. 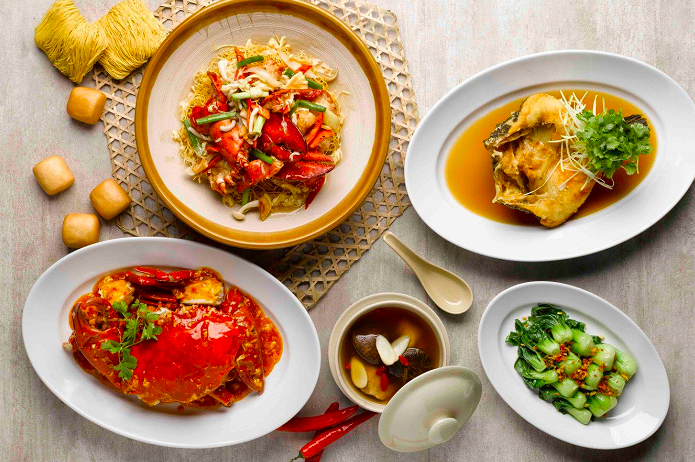 Pro-tip: the folks at Chope have scored a deal at $155.36 for two with 50 per cent off the food-only price for the second diner. Opus Bar & Grill is located at 581 Orchard Road, Lobby Level, Hilton Singapore, Singapore 238883, p.+65 6730 3390. Opens 6.30pm - 10.30pm from Mondays to Sundays. Sunday brunch is available weekly 12pm-3pm. The Carvery is located at 323 Alexandra Road, Level 7, Park Hotel Alexandra, Singapore 159972, p.+65 6828 8880. Opens from 6.30am - 10.30am, 12pm - 3pm and 6pm - 10pm from Mondays to Sundays. Courtyard by Marriott Singapore Novena's sky-high contemporary concept boasts floor-to-ceiling panoramic views that go perfectly with its spread of local and international cuisine by Sky22's Executive Chef John Chye and Sous Chef Chris Lee. 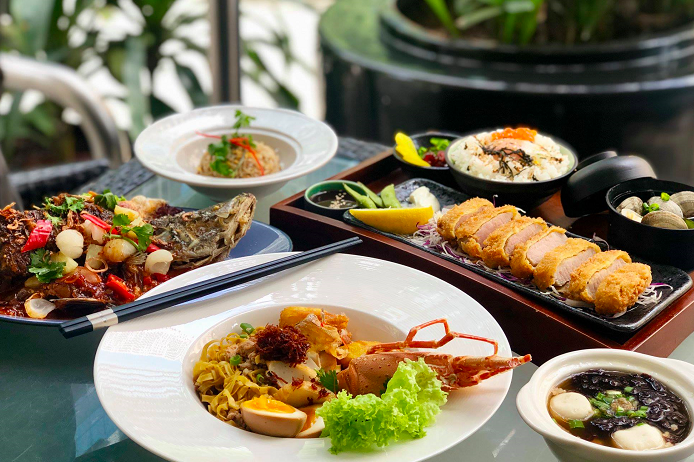 Priced at $48++ for lunch (Saturdays and Sundays) and $56++ for dinner (Fridays and Saturdays), enjoy the best of both worlds in an expansive weekend buffet of Singaporean classics like Singapore laksa and crispy pork belly, fresh crustaceans, and much more. 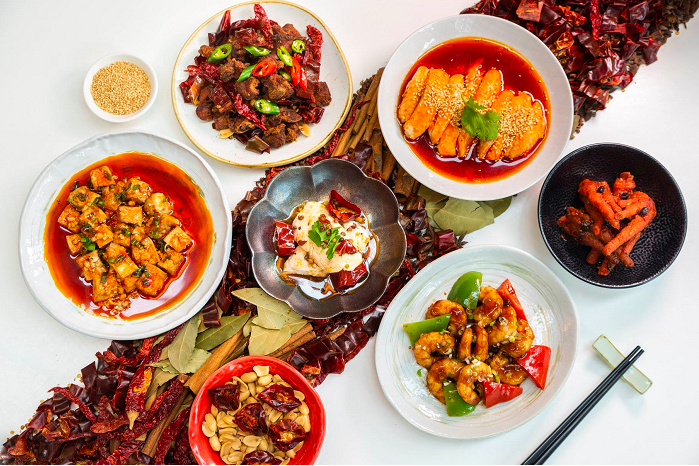 Keep a lookout for seasonal showcases - think Seafood Bonanza and Penang Street Food - or try the weekday semi-buffet with five scrumptious dishes that rotate each week. Sky22 is located at 99 Irrawaddy Road, Level 22 of Courtyard by Marriott Singapore Novena, p.+ 65 63782040, e. fnb.courtyardsg@marriott.com. Opens for breakfast from 6.30am - 10.30am, lunch is at 12pm - 2.30pm, and dinner from 6pm - 10pm. Itching for some Italian? Basilico at Regent Hotel boasts an impressive collection of Tuscan wine and cuisine. For those looking to go wide on options and small on portions, the $50++ buffet option eliminates filling mains from the menu, while still allowing you to indulge in cold cuts, bread, parma ham, and a cheese spread terrifying enough to awe even the most stoic turophiles. 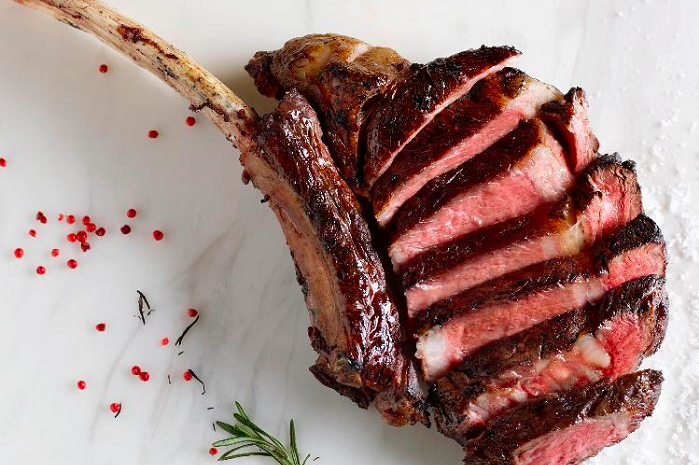 For the price of $50++ per adult, get your money's worth in quality antipasti, desserts and seafood at their weekday lunch buffet, or $58++ for the full spread of antipasti, mains and dessert on Saturdays. Want more? $92++ gets you live cooking stations, a cheese room and a foie gras bar. Basilico is located at 1 Cuscaden Road, Level 2 The Regent Singapore, p.+ 65 6725 3232. Opens 12pm - 2.30pm and 6.30pm - 10pm from Mondays to Saturdays, and 12pm - 3pm and 6.30pm - 10pm pm Sundays. Can't get enough of seafood? Start your epicurean journey with heaping servings of freshly-shucked oysters, authentic sashimi, and dreamy poke bowls at Pan Pacific's Edge. And then head for the hard stuff like Ebi Furai Curry, Curry Crayfish Thermidor and Wok-fried Tamarind Prawns. Every Wednesday and Thursday from 6.30pm - 10.30pm, dive into the fresh new buffet line up, featuring seafood in a series of versatile and innovative dishes. 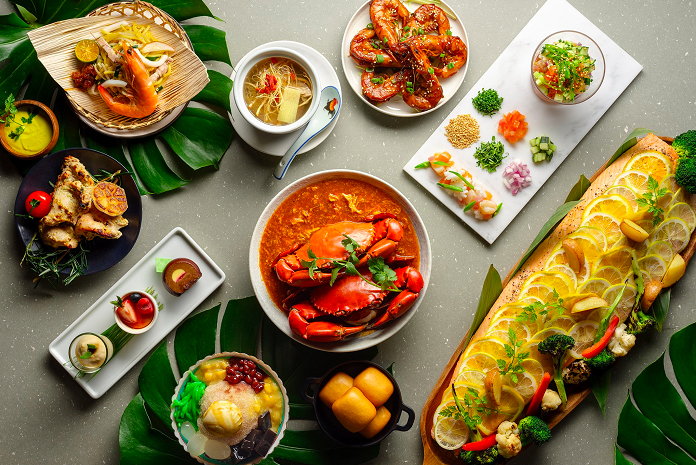 Starting at $88++ per adult and $44++ per child, and local favourites like Peranakan specialities and signature chilli crab joining the mix, it's hard to say no. Edge is located at 7 Raffles Boulevard, Level 3, Pan Pacific Singapore, Singapore 039595, p.+ 65 6826 8240, e. dining.ppsin@panpacific.com. Opens 6am - 10.30am, 12pm - 2.30pm, and 6.30pm - 10.30pm from Mondays to Saturdays. Opens 6am - 10.30am, 12pm - 4pm, and 6.30pm - 10.30pm on Sundays. One of the most established buffet restaurants in Singapore, The Line has plenty to offer, even after all these years. 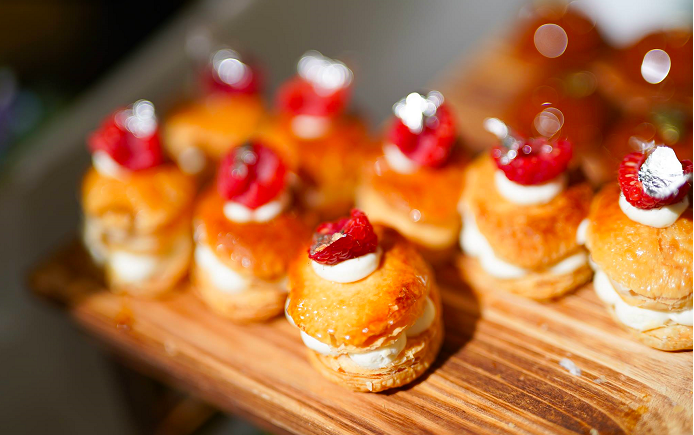 Prices start from $80++; check out their Crustacean Bar stocked with an assortment of briny bites and 16 impressive live kitchens offering a la minute cooked meals alongside delectable dim sum, sushi, and sashimi. Don't forget to leave a little room to visit the chocolate fountain and a soiree of local-inspired cakes at the Dessert Counter. The Line at Shangri-La is located at 22 Orange Grove Rd, Lower Lobby, Tower Wing, Singapore 258350, p.+ 65 6213 4398, e. dining.sls@shangri-la.com. Opens 6am - 10.30am, 12pm - 2.30pm, and 6pm - 10pm from Monday to Friday. Opens 6am - 11am, 12pm - 3pm, and 6pm - 10pm on Saturdays, Sundays, and public holidays. With over 40 varieties of seafood, you'll be absolutely spoiled for choice with at Beach Road Kitchen. The perfect choice when you're looking for a little bit of everything, from vertical salad bars, to charcoal-grilled meats, to antipasti and local delights. To wash it down, take your pick from a selection of freshly squeezed juices, beers and spirits. Buffet prices range from $45++ to $95++ for adults and $23++ to $45++ for children 12 and under. See our brunch review here. 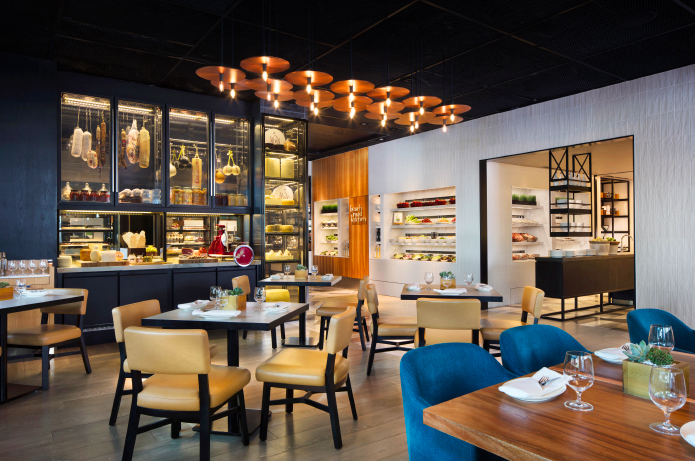 Beach Road Kitchen is located at JW Marriott, Singapore South Beach, 30 Beach Rd, Singapore 189763, p.+ 65 6818 1913, e. jw.sinjw.dining@marriotthotels.com. Opens 6.30am - 10am, 12pm - 2.30pm, and 6pm - 10pm from Monday to Friday. Opens 6.30am - 11am, 12pm - 3pm, and 6pm - 10pm on Saturdays and Sundays. For the full price list, click here. 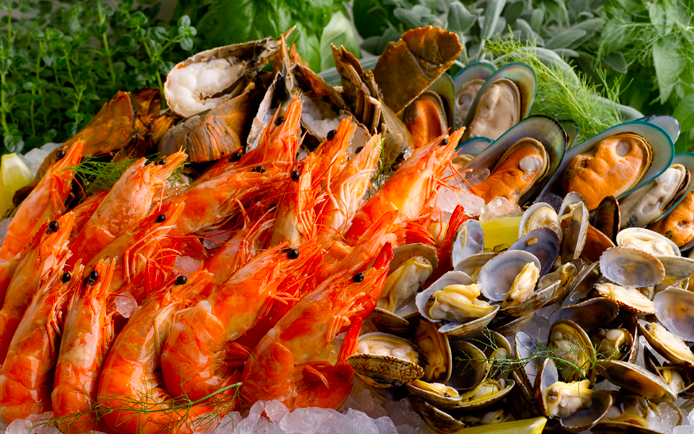 Another one for seafood fanatics, M Hotel at Anson Road is famous for their surf n' turf all-you-can-eat. 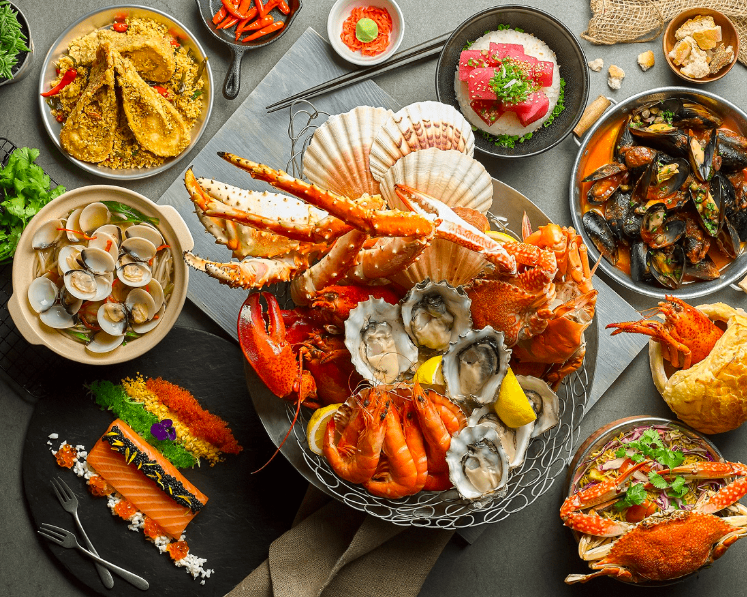 Think fresh Queen Scallops, Boston Lobster, Alaskan Snow Crabs, with live carving stations dishing out top-grade Australian Beef Sirloin and Pork Knuckles to balance out the seafood. Not to mention the deals at Cafe 2000 are pretty crazy on Chope: $91.81 nett for two with the 1-for-1 Seafood Extravaganza Dinner Buffet happening Sunday to Thursday, $62.15 nett per person (40 per cent off) for the weekend Seafood Extravaganza & BBQ Dinner Buffet, and the Weekend Seafood Lunch Buffet at just $43.78 nett per person. Cafe 2000 is located at 81 Anson Road, Singapore 079908, p.+65 6224 1133. Opens 6.30am - 11pm from Mondays to Sundays. ALSO READ: Hotel review: The Majestic Malacca is the crown lady of Malaysia.